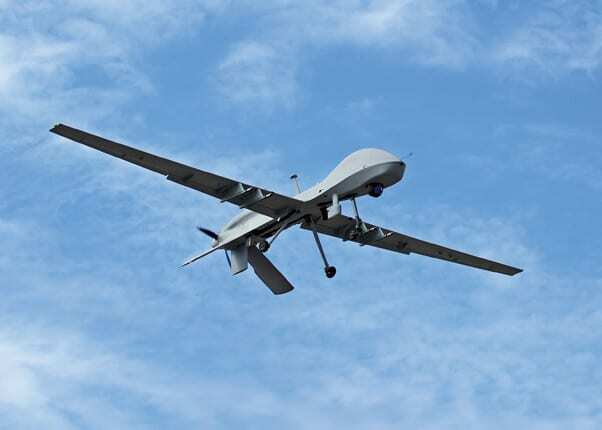 A MQ-1C Gray Eagle unmanned aircraft flies at the National Training Center, Jan. 9. Soldiers of B Company, 229th Aviation Regiment, put into flight a MQ-1C Gray Eagle unmanned aircraft here, Jan. 9. 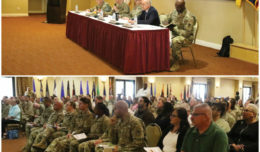 The “Flying Tigers” company operates Gray Eagles and their duty is to provide mission-configured, unmanned aircraft system support to division combat aviation, fires and battlefield surveillance brigades, brigade combat teams and other Army and Joint Force units. 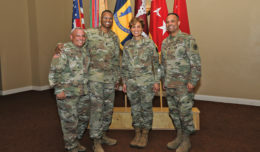 The unit, under the 2916th Aviation Battalion, 916th Support Brigade, was activated here in October. They are now flying the aircraft, which provides a tremendous combat advantage – according to 2916th Commander Lt. Col. William Garber. 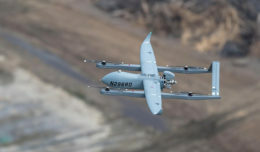 The aircraft can stay aloft for almost a day, carry four Hellfire missiles and look down from 18,000 feet while recording video.